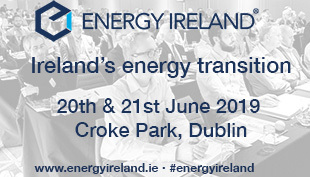 Tony Doherty explains how Dalkia’s full integration with Veolia will bring an innovative approach to energy, water and resource management for Irish clients. Dalkia International, which has been operating in the Republic of Ireland and Northern Ireland since 2002 as a leader in energy and utilities management, officially marked its integration to its parent company Veolia on 25 July 2014. For Dalkia, this transition to the single Veolia brand mirrors the journey undertaken by its sister activities across the water and waste management activities over the past two years. Veolia’s transformation plan has delivered a unified management approach, to develop more and more integrated solutions which will extend the reach of individual business activities and promote real synergy to its diverse client base. The new simplified and integrated strategic positioning of Veolia hinges on resources: their availability, their protection and their replenishment. The industrial, commercial and municipal sectors, which are the largest users of water, energy and raw materials in society, are all looking to find solutions to carry out their business and deliver their products and services in the most sustainable way possible. Sustainable resource management is a shared imperative and one for which Veolia seeks to provide the most innovative and integrated solutions. The choice across industry to outsource energy and utilities management points to the need to reduce running costs and environmental impacts while focussing on the core business. While prioritising these needs, Veolia’s energy offer to Irish industry, which has been developed and delivered by Dalkia over the last 10 years, has kept an eye on clients’ future performance and sustainability goals. Scaling up the range of offers to match the client’s needs and performance targets has been a proven success story for the energy business. Whether enhancing the reliability of existing plant with bespoke automation, designing and installing biomass or combined heat and power units, or building new Energy Centres with remote monitoring, this approach is delivering consistent results year on year. With this capability, Veolia has positioned itself to partner clients on their sustainability journey. That journey has begun in earnest for food producers and the food and drinks manufacturing sector in Ireland. Central to this journey is taking measures to commit to an integrated management of the product cycle from farm to fork. Within the food processing environment, quality, safety, hygiene and traceability are key to maintaining reputation and trust in the market. Cost control and economic performance are a given. 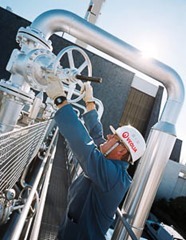 Veolia has the capacity to help its customers perform sustainably on the environmental and economic balance sheet by; managing health risks linked to water used for ingredients, reusing water in economically efficient ways, and producing green energy by capturing and reusing the carbon contained in wastewater and by-products to reduce carbon footprints and reliance on fossil fuels – one integrated solution to a complex set of challenges.